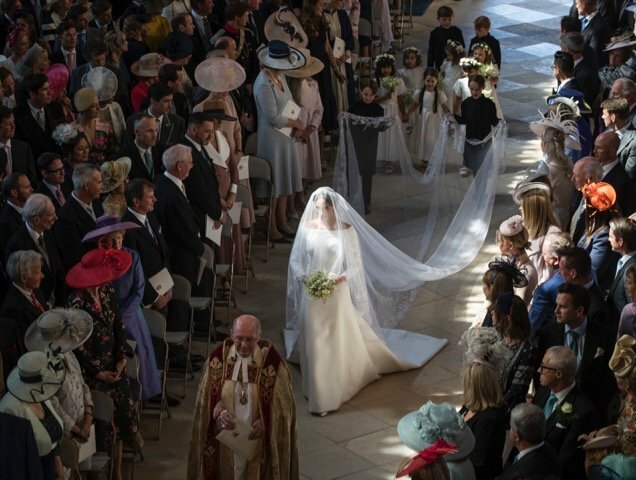 After months of buildup, the royal wedding finally happened on Saturday and from a fashion standpoint, it was worth the wait. 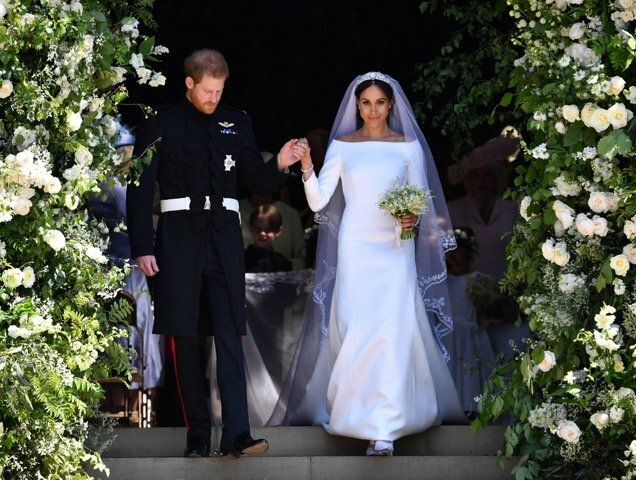 The bride stunned everyone not only because she looked amazing, but because her wedding dress was by Clare Waight Keller, which no one was expecting. Her custom Givenchy wedding dress included a boat neckline, three-quarter sleeves and an epic veil. The veil was actually a whopping 16.4 feet long made from silk tulle trimmed with hand-embroidered flowers in silk threads and organza. The veil represented the distinctive flora and fauna of each of the 53 Commonwealth countries united in one floral composition. She topped off her messy bun with Queen Mary’s 1932 diamond bandeau tiara with a center brooch from 1893, on loan from Queen Elizabeth. 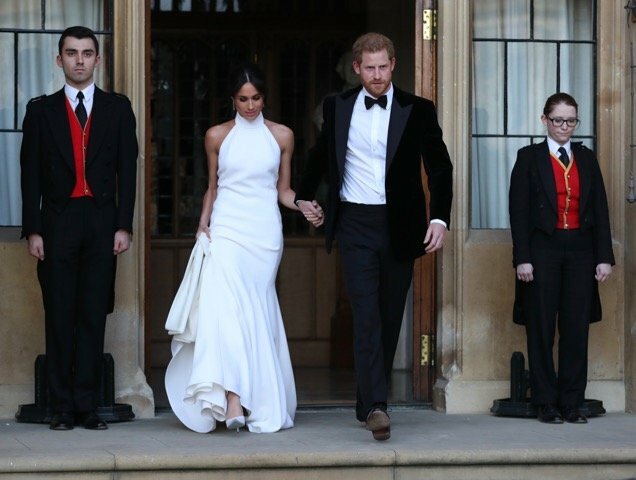 The now-former Meghan Markle changed into a white silk crepe Stella McCartney dress with high collar for the evening reception capped off by satin Aquazzura heels featuring baby blue soles. 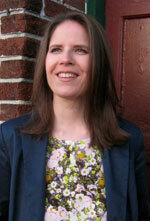 She also slipped on an aquamarine ring that belonged to Princess Diana. In case you’re wondering what to call the couple now that they’re hitched, their new titles are “Duke of Sussex, Earl of Dumbarton and Baron Kilkeel” for Prince Harry and “Her Royal Highness The Duchess of Sussex” for Meghan. See what the stars wore to the ceremony and the reception in the slideshow below.